Greenhouses are an excellent way to help extend your growing season, protecting plants from extreme temperatures and the elements, as well as for starting plants from seeds. They are generally quite reasonably priced and are made from durable materials that should give you several years of use. While there are many benefits to greenhouses, it’s important to remember watering will be an issue, as the natural rains will not reach your plants, and overheating can be an issue in extreme summer heat. Cold frame, which are bottomless and can easily be moved. They are ideal for the early spring and late fall seasons to help protect and encourage plants to grow that would otherwise perish due to cooler temperatures. Starter, which are small to medium in size and ideal for starting seedlings and hardening off plants which will be transplanted to your gardens. Grower, which are the largest and can be used to start seedlings, harden off plants, grow crops to harvest, and even cure them for storage. No matter which type you purchase you’ll want to consider if there is adequate size, ventilation, insulation, and durability for your needs. All of these variables will ultimately impact the final price of your unit. With the above information in mind, in no particular order here are 40 of the greenhouses we consider to be best, based on available features and average customer ratings and reviews. 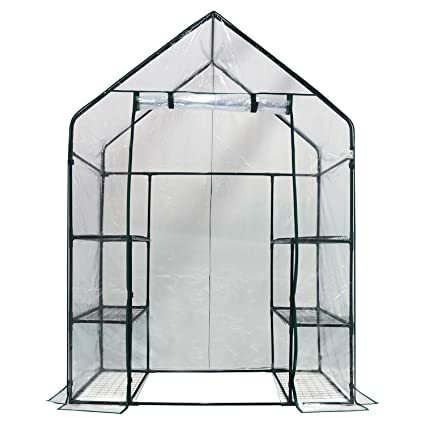 This compact greenhouse offers 4 shelves where you can grow your garden’s plants and vegetables to your heart’s content, and can easily be set up on your deck, patio, or even a balcony. 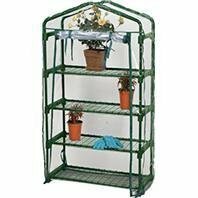 This greenhouse boasts durable heavy duty powder coated steel shelving perfect for displaying your beloved greenery in full sun. It features an easy Velcro connection to provide you with years of long-lasting use. 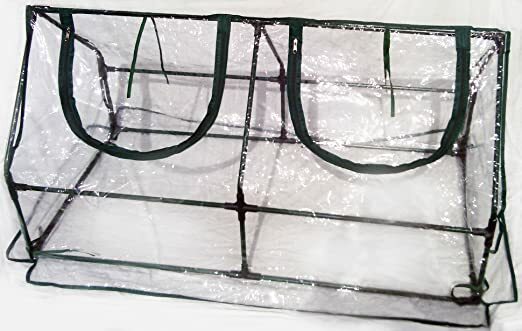 This greenhouse features 4 shelves to hold and display your seedlings along with a roll-up, zippered door for quick and convenient access. 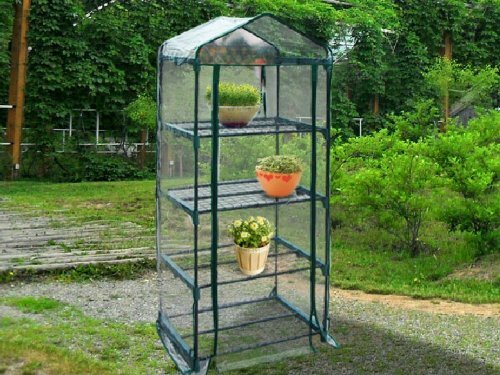 This greenhouse boasts durable heavy duty powder coated steel shelving perfect for displaying your beautiful greenery in full sun. The door rolls up for quick and convenient access to your plants. 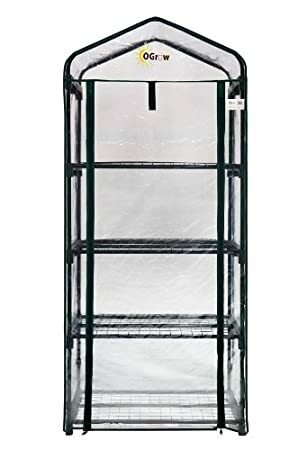 This portable greenhouse boasts a durable powder coated steel design that features 12 shelves for all of your growing needs. It has Velcro connections to provide you with years of long-lasting usage. 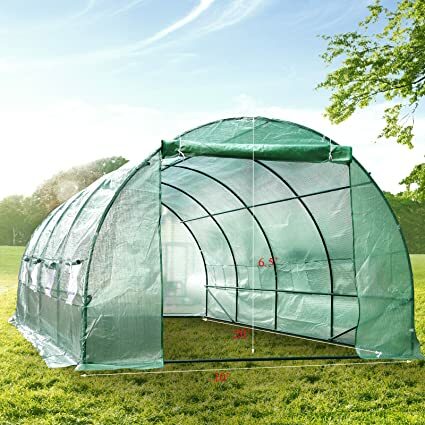 This greenhouse is easy to set up and easily portable, to provide you with an outdoor growing space anywhere you need it. 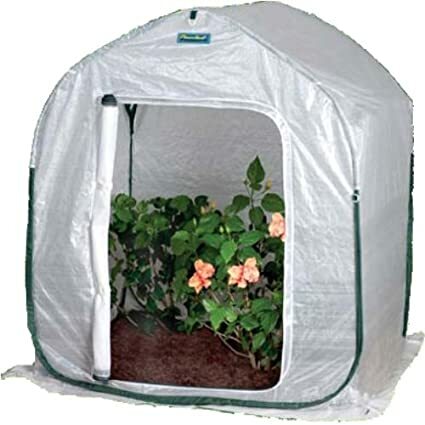 It features 3 zippered doors that allow for easily access to your plantings and sufficient ventilation. 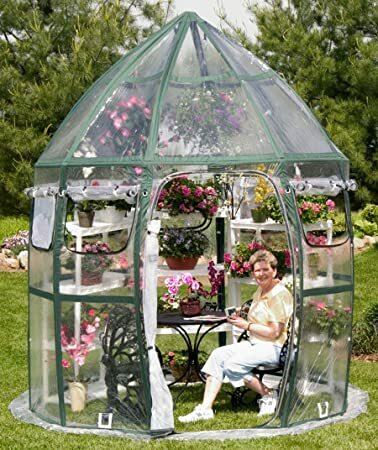 This outdoor greenhouse boasts a generous 7’x12’ design with walk-in entry for ease of accessing your plants. 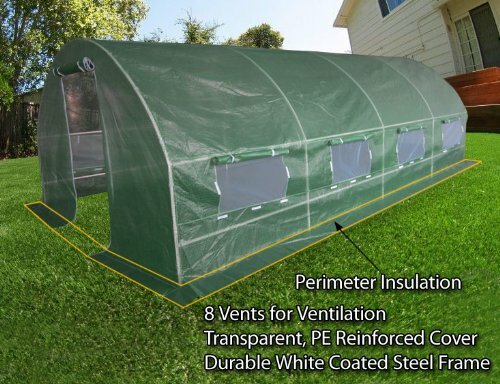 It comes complete with 6 windows to provide adequate ventilation and protection from insects. This simple outdoor greenhouse provides a practical and affordably-priced solution to starting your seedlings and keeping plants flourishing. It features an easy Velcro connection to provide you with years of long-lasting use. 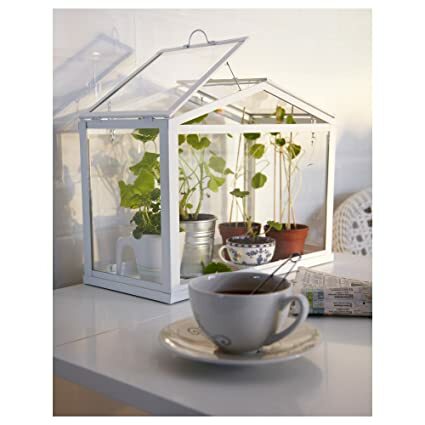 This cute little greenhouse box is suitable for use both indoors and outdoors and is ideal for succulents, herbs, and other small plantings, without taking up too much space. 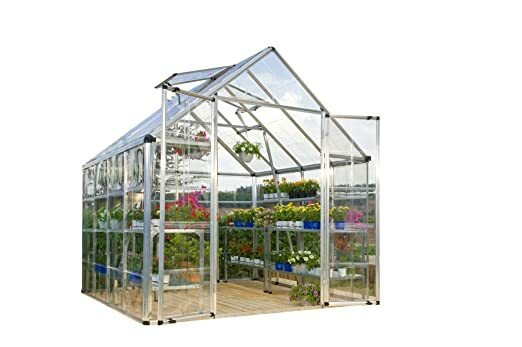 This outdoor greenhouse is available in a number of different height configurations to suit all your gardening needs and boasts a quick, simple setup that is suitable for use both indoors or outdoors. 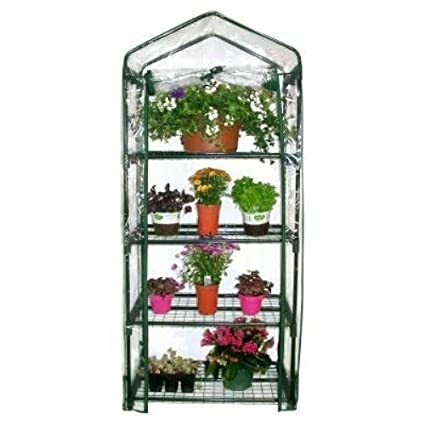 This outdoor greenhouse features 2 tiers with 8 shelves total to help display all your plants. It has been constructed from durable, reinforced PE and heavy duty powder coated steel shelving for years of use. 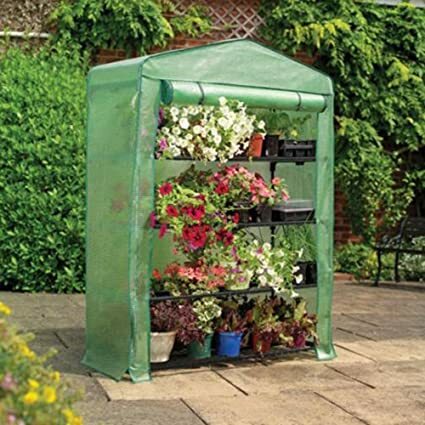 Available in a choice of different sizes to suit your specific gardening needs, this outdoor greenhouse offers a sturdy, stable, and semi-permanent solution for your growing needs. It boasts a rust-resistant aluminum frame and adjustable roof vent. 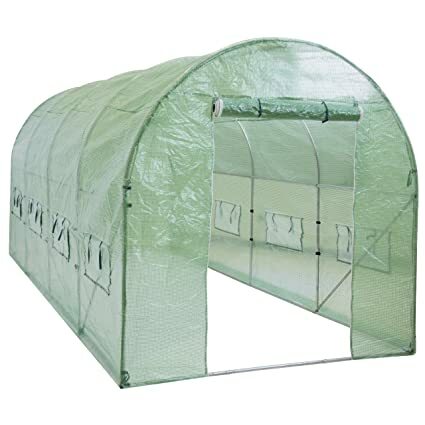 This outdoor, tunnel style greenhouse boasts a rust-resistant high grade silver powder coated steel tube frame and heavy duty threaded PE cover for years of reliable usage. It comes complete with 8 roll-up windows for ventilation and protection from insects. 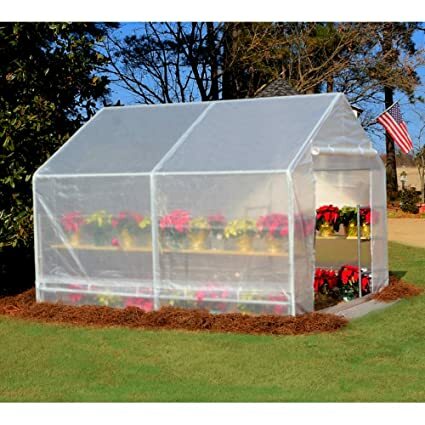 This portable greenhouse features 4 shelves and a zippered, roll-up door to provide easy access to all your plantings. It features a simple Velcro connection to provide you with years of long-lasting usage. 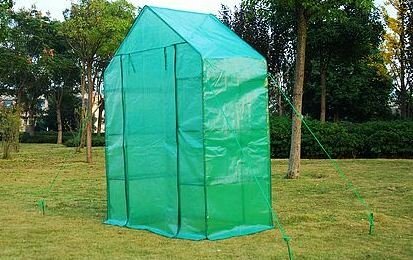 This greenhouse is easily portable, to provide you with an outdoor growing space anywhere you need it. 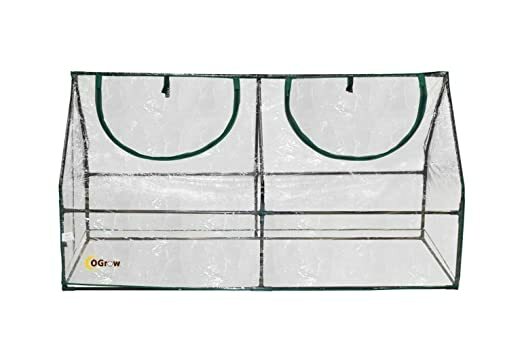 It features 2 zippered doors for easy access to your plantings. 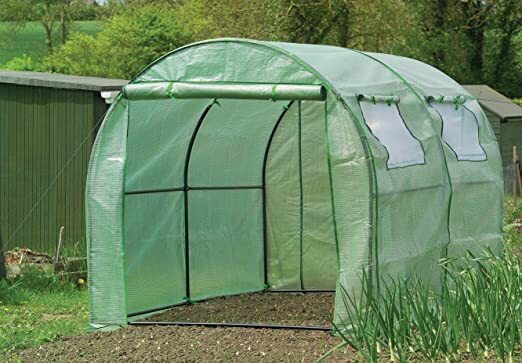 Available in a choice of size configurations to suit your specific gardening needs, this outdoor greenhouse features easy-to-assemble wing nuts, which require no tools to set up. The fabric has been UV coated to provide years of continued usage. 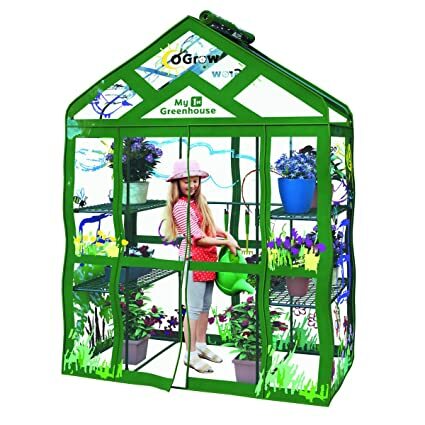 This greenhouse offers a practical and affordable way to get your little ones started in the garden. It boasts 6 shelves and a colorful design kids love. There’s even a child-friendly zipper for convenient in-and-out access. 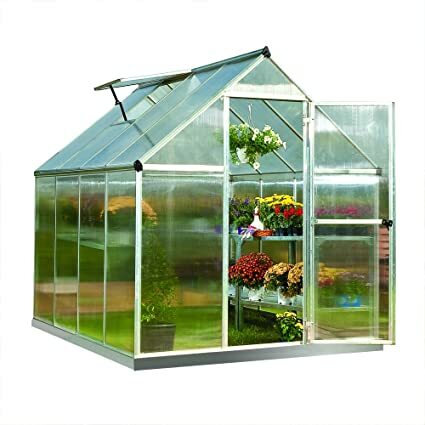 This outdoor greenhouse is available in a number of different height configurations to suit all your gardening needs and boasts a quick, simple setup suitable for both indoor or outdoor use. 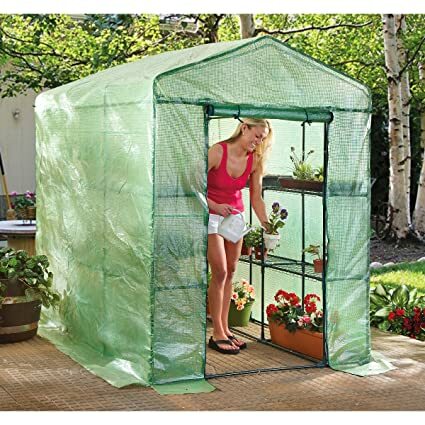 This greenhouse comes complete with 4 shelves and a zippered, roll-up door that provides quick and easy access to all your plantings. The cover is made from durable, reinforced PE and the frame is a sturdy, powder coated metal tubular design. 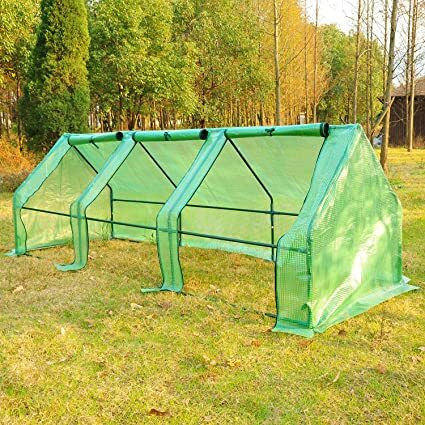 This outdoor greenhouse features a portable and incredibly durable design that is ideal for use year-round. It boasts a reinforced PE cover and powder coated steel frame for years of dependable usage. 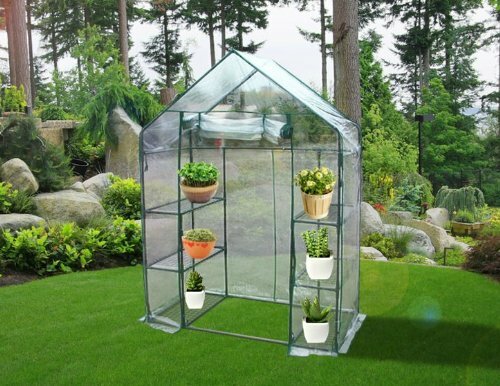 This compact greenhouse boasts 2 shelves and a zippered, roll-up door that allows you to easily access your plantings. It comes complete with a clear vinyl cover that fits snuggly over the metal frame to keep heat and humidity right where you want it. This greenhouse offers a compact footprint without sacrificing on height, to help you grow all your plants year-round. It features a walk-in design with 8 shelves to hold all your seedlings and a zippered, roll-up door for convenient entry. 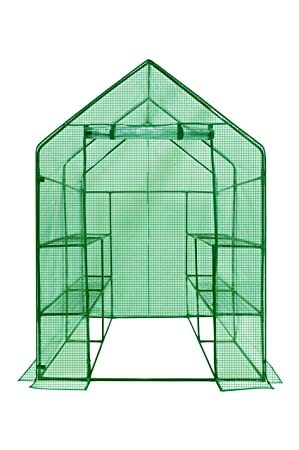 This greenhouse kit comes complete with 4 shelves and a durable, reinforced PE covering to help retain maximum heat. It comes in a convenient package of 2 for those with greater gardening needs. 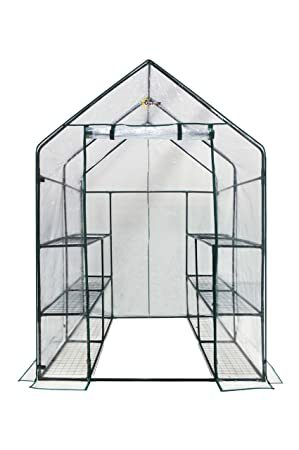 This portable greenhouse comes complete with 6 shelves and boasts a compact design that is ideal for smaller spaces or little gardeners. It features a zippered, roll-up door for convenient access and increased ventilation. 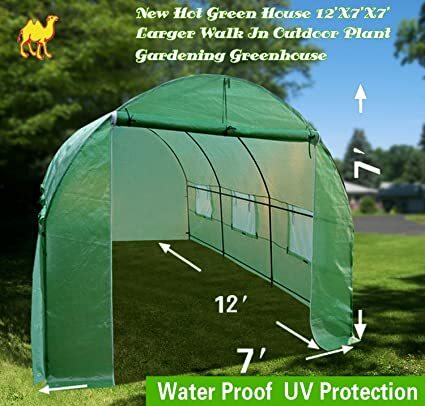 This sturdy outdoor greenhouse boasts a generous 6’x8’ footprint and features a high grade, premium powder coated steel frame and PE fabric cover that provides enhanced illumination while blocking out harmful UVA and UVB rays. 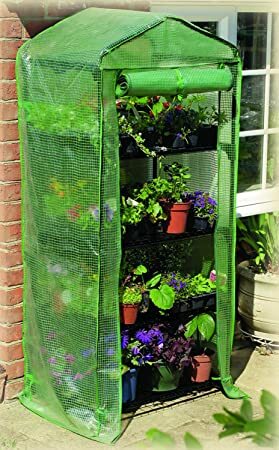 This mini greenhouse boasts 4 shelves for storage and a zippered, roll-up door to provide convenient access to all your plantings. It comes complete with a durable, powder-coated metal frame and plastic cover for years of usage. 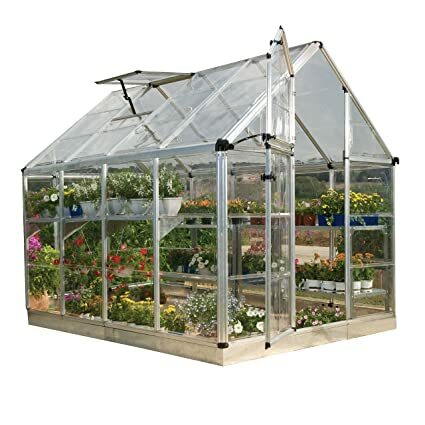 Available in a wide selection of size configurations to suit any home gardener’s needs, this outdoor greenhouse boasts a durable metal frame featuring SmartLock connectors for quick and easy setup. 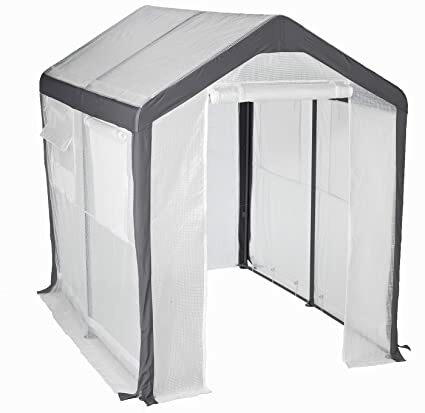 It comes with 100% UV-protected, nearly unbreakable polycarbonate roof and walls panels. 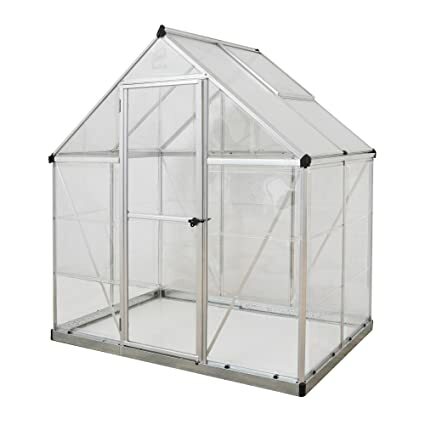 This spacious outdoor greenhouse boasts a generous amount of room for at-home growers and features an extra reinforced powder coated stainless steel frame for increased stability and durability. 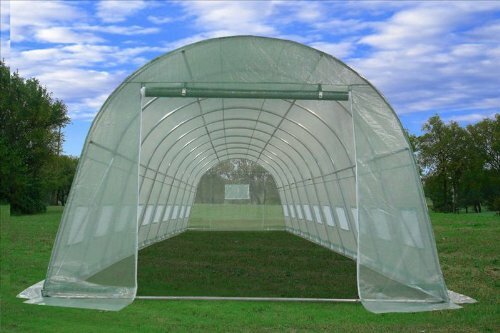 It boasts a UV-resistant fabric PE mesh covering to help protect your plants. This greenhouse boasts 4 shelves for storage and features a lightweight design that makes it easily portable for all your gardening needs. The open bottom can even be placed over existing plants. 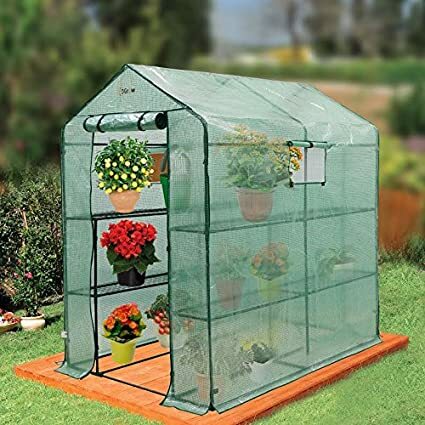 This spacious outdoor greenhouse offers a generous planting area and features a fully-enclosed, water-resistant cover to help protect your plantings. 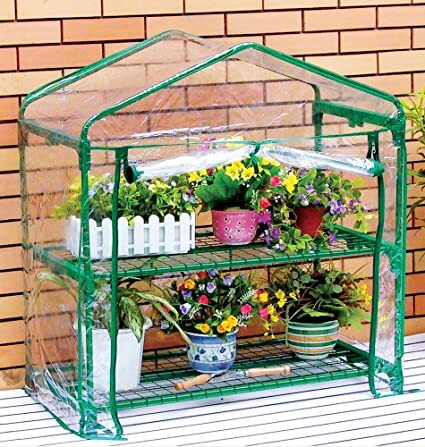 Available in a selection of size configurations to suit any home gardener’s needs, this outdoor greenhouse boasts a durable metal frame that is easy to assemble. 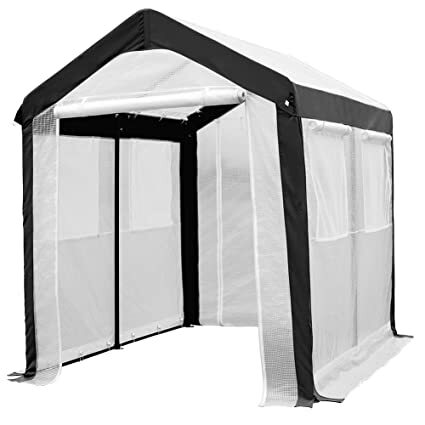 It comes with 100% UV-protected, nearly unbreakable polycarbonate roof and walls panels. This outdoor greenhouse offers a tunnel-style design that is ideal for covering large areas and allows for walk-in entry. The open bottom allows it to be placed over existing plantings and the lightweight design is easily portable. 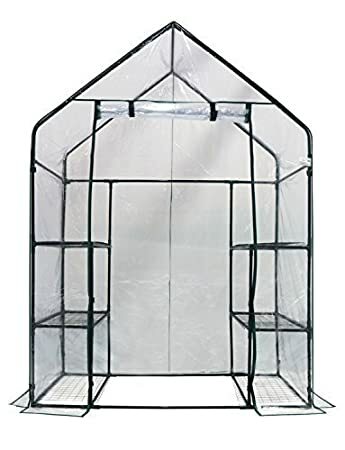 This portable greenhouse has been designed for easy 1-2-3 assembly thanks to its special heavy duty plastic connectors. It is suitable for use in the garden, on the lawn, or even on your patio or balcony. 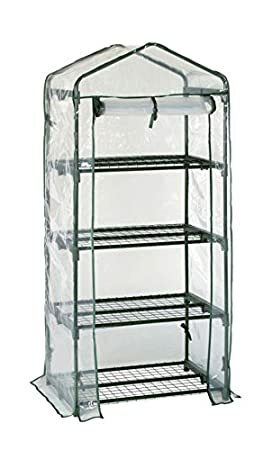 This mini greenhouse offers 4 shelves of storage capacity in a compact design that is ideal for use in gardens, on lawns, or even on patios and balconies. It boasts a heavy duty powder-coated steel frame and durable PVC cover. 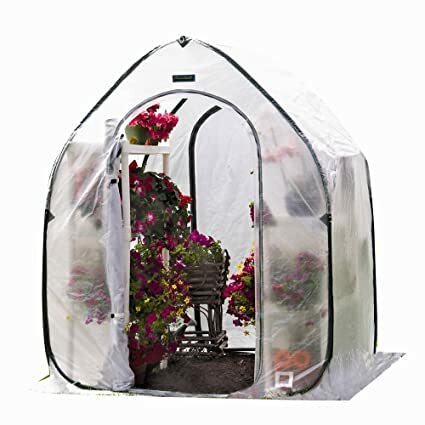 This walk-in, outdoor greenhouse boasts a massive capacity for the most serious of home gardeners and features a rust-resistant heavy duty galvanized steel frame and reinforced mesh PE cover that blocks out UVA and UVB rays. This greenhouse boasts a spacious, walk-in design and features a rust-resistant heavy duty powder-coated steel frame and reinforced PE cover to help protect your plants. The 4 windows include mesh netting to allow ventilation and help protect against insects. 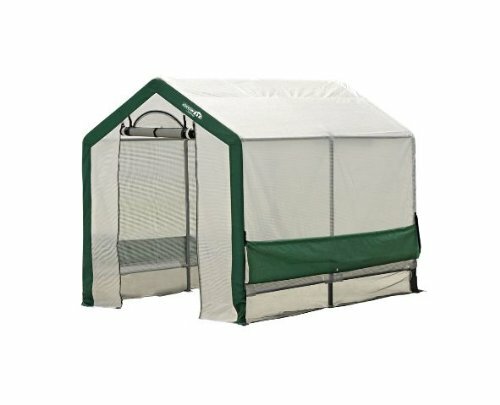 This walk-in style greenhouse comes complete with 4 durable metal shelves and a roll-up door for convenient access and increased ventilation. This show-stopping greenhouse features a unique design that makes it as beautiful as it is functional. It easily sets up in just minutes and features a lightweight, portable design that requires zero assembly.